The Boerne Campus has been awarded a TTIPS Cycle 5 grant, this grant will provide funding for new initiatives and continued school improvement for the next 4 years. This is an amazing opportunity for all stakeholders at the campus. 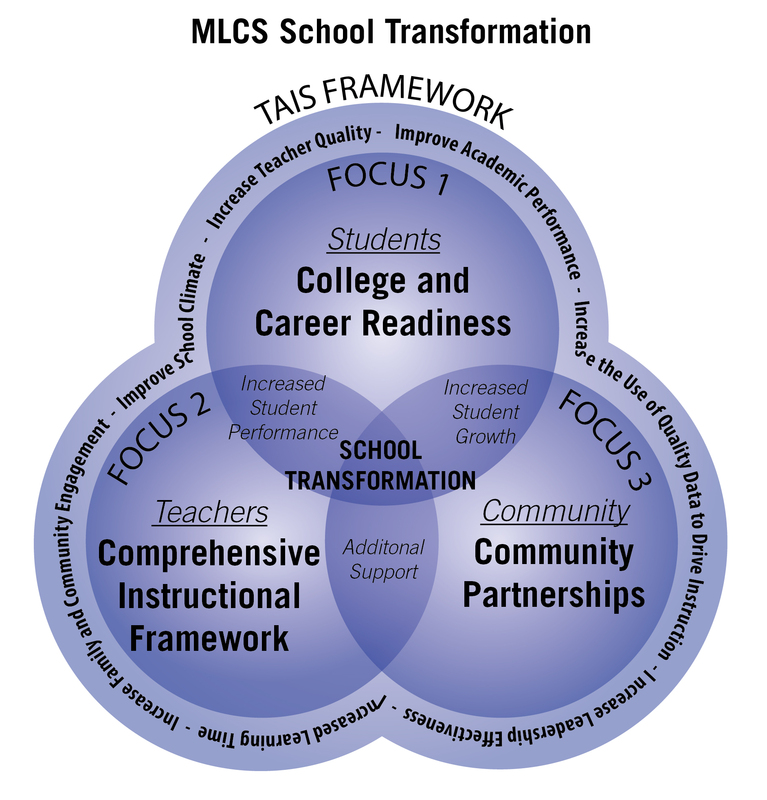 MLCS has completed a Comprehensive Needs Assessment process with ESC-20 staff and identified three overarching focuses necessary for implementation of the school transformation model. Each focus includes multiple interventions that look to accelerate student achievement and sustain school reform. Meadowland Charter School will be a premier and caring school that meets the diverse needs of all students through a rigorous and cross curricular program that empowers them to be college, career or vocation ready after graduation. These three focuses directly align to the seven critical success factors associated with the Texas Accountability Intervention System (TAIS) process. These focuses do not stand as individual benchmarks for our transformation model, but are interconnected and support one another on the pathway to school transformation. Details on specific grant related activities. A business, civil or philanthropic organizations may have ways to assist with specific grant activities. Suggestions for additional activities relating to the grant. We are providing multiple way for us to receive this feedback. Develop and increase teacher and school leader effectiveness. Deliver comprehensive instructional reform strategies. Increase learning time and create community-oriented schools. Provide operational flexibility and sustained support.